In a nutshell: A well-planned home has a variety of fixtures and systems to keep its occupants comfortable and happy. Architects and designers work wonders with lighting, plumbing, air conditioning, appliances, furniture, and fabric. But there’s one element designers frequently neglect: sound. Imagine music flowing through your rooms like light from the windows or cool air from the vents. That's what it feels like when the speakers are built into your walls or ceilings. Your music can come from an Internet service like Spotify®, or from a computer or hard drive that’s attached to your home network. 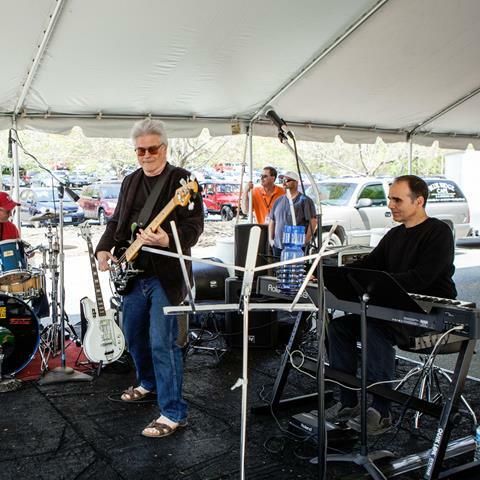 It’s easy to play one song in the family room and another in your bedroom. Or play the same music throughout the house. You can use your smartphone or tablet a remote control. Or you can install in-wall controls. uilding a new house (or thoroughly renovating an old one)? 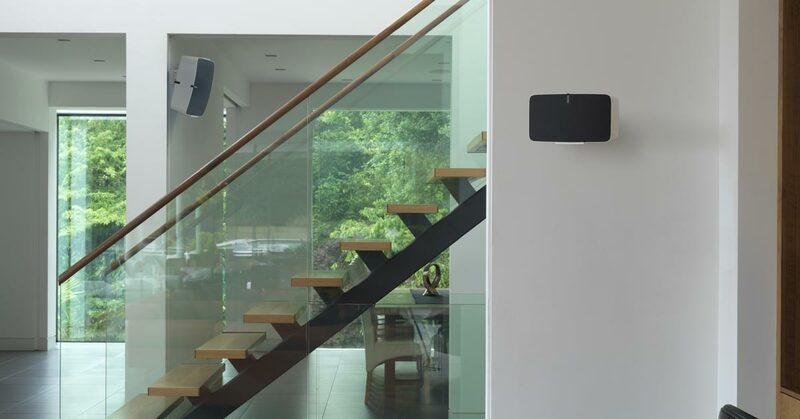 You have the perfect opportunity to conceal speakers and wires in your walls and ceilings. 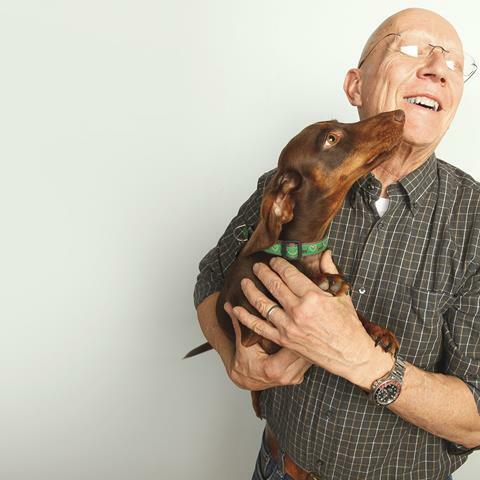 It can be done in an existing home, but it’s not easy work for a do-it-yourselfer. For details, see our in-wall wiring guide. Wireless systems are the easiest solution. We'll explore those first. Installation and setup takes minutes. A wireless system is an obvious choice for an existing home, but may also be the best platform for a new home. 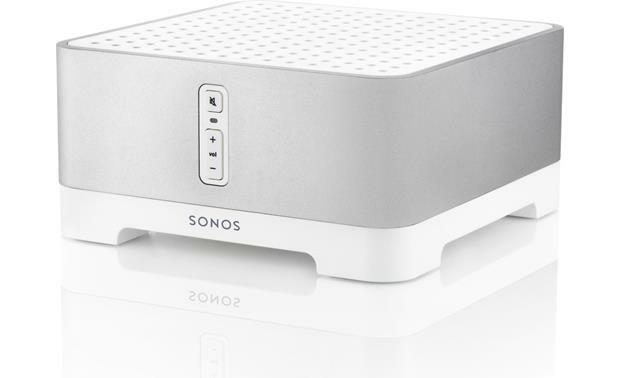 That’s a system in which wireless components, such as the Sonos CONNECT:AMP, feed the music to in-wall or ceiling speakers. 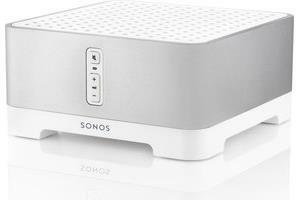 Your system might also include several other Sonos components that are located elsewhere. 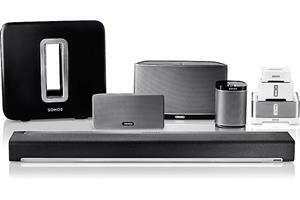 For instance, you might have a PLAYBAR and a Sonos SUB for TV sound and music in the family room. You could put PLAY:5 powered speakers in bedrooms and any other spaces in which the hardware fits nicely. Now let’s turn our attention to your outdoor zone. 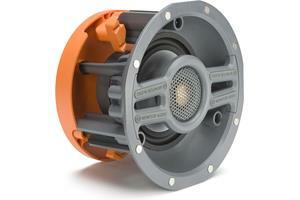 Say you need several weatherproof speakers to evenly distribute sound about the pool and patio areas. 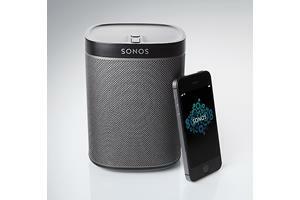 You’ll play the same music through all of your outdoor speakers, so you only need one Sonos component for this zone. 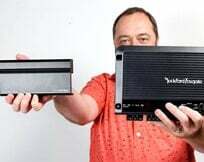 But outdoor speakers require a lot of power, so you don’t want to rely on a single 2-channel amplifier. Installation of a wired system can be daunting for a do-it-yourselfer. Most people will require the services of an electrician or audio/video installer. 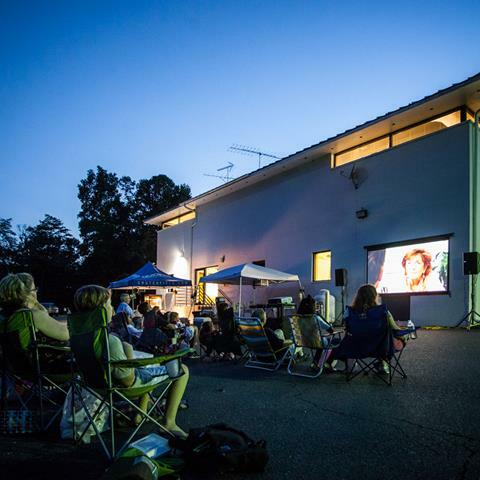 But Crutchfield’s A/V Design Group can help you plan your system. Wired systems are also good for commercial applications, such as a dentist’s office or a coffee shop. A traditional stereo system is good in a very small office or shop, where there are only a few sets of speakers. 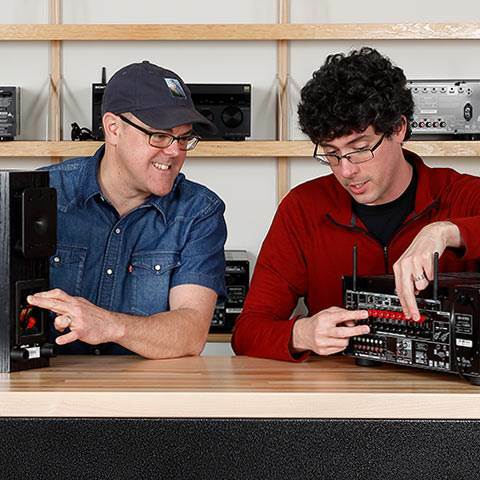 One amp can drive many speakers without using a complex wiring scheme. It’s easy to set different volume levels in different listening areas. For help a commercial installation, contact a system designer at 1.800.315.2758. To learn more about commercial audio, read our guide to 70-volt systems. Below we’ll explore the pros and cons of two types of wired systems. 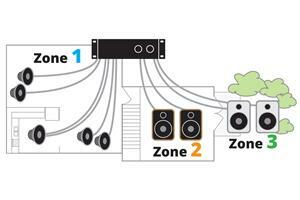 First, we’ll look at setups that use the multi-zone outputs of a home theater receiver. Then we’ll discuss separate music-only systems. Audio for two rooms, using the receiver's "B" speaker outputs. 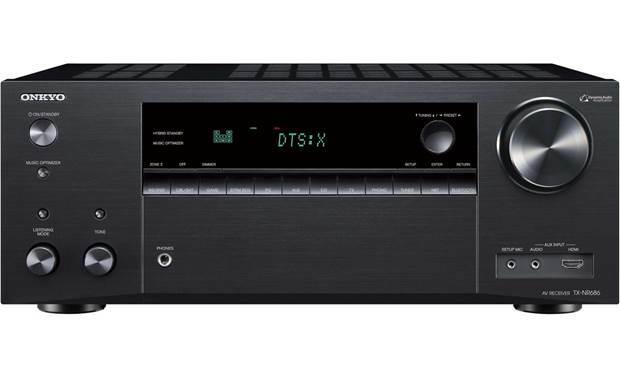 Most modern receivers have speaker outputs for a second room. Many connect to a home network for access to Internet music sources. 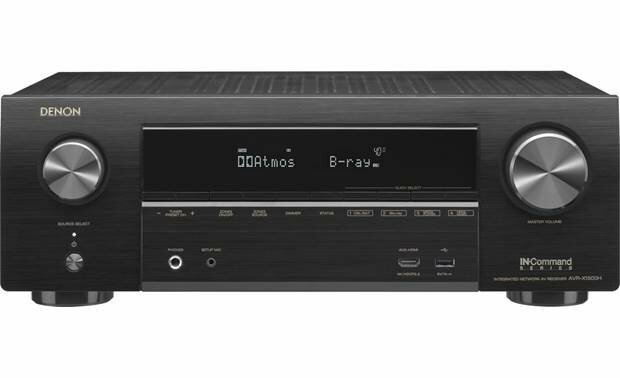 These features make a receiver-based system a great option in some situations. Planning a system that will serve more than one or two additional zones? 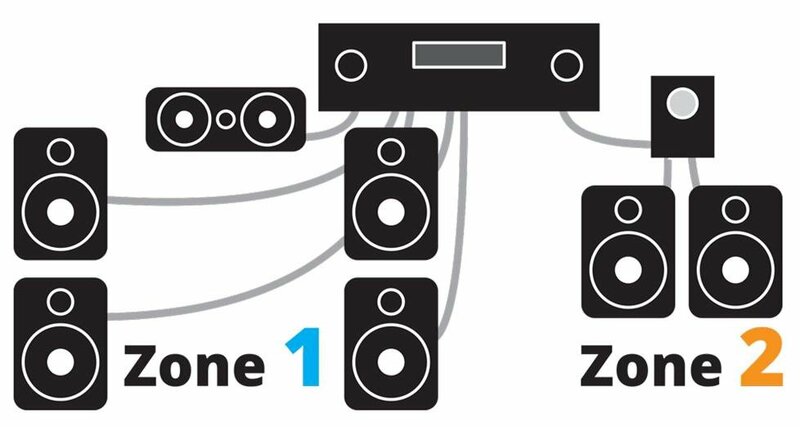 You can connect several pairs of speakers to a receiver’s “B” speaker outputs (or to a separate two-channel amp connected to a receiver’s preamp outputs). 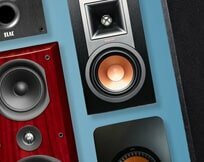 You’ll need a speaker selector or impedance-matching volume controls. Be careful, though. 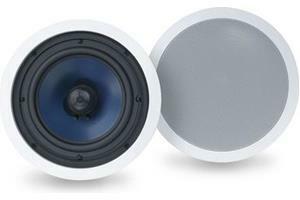 Some speaker selectors are meant to be used only with an amp capable of driving a low-impedance speaker load. You might be better off keeping the home theater receiver out of the equation. A multi-channel amp (with its own music sources) is safer, easier to operate, and capable of bigger, better sound. To learn more, read our article on how to power a multi-room audio system. Wall-mounted volume controls require speaker wiring only. In-wall keypads that let you control your music source components also require CAT-5 wiring. You may also need infrared “flashers” to relay remote control commands to your music source components. What music sources are best for your system? Playing the music files stored on your computer is a good option for many systems, but there are a few drawbacks. The computer must be turned on, of course. And your computer’s hard drive might not hold all your music. Consider storing your music library on a high-capacity networked hard drive (also known as a NAS drive). You can leave it turned on, so your tunes are always instantly available. 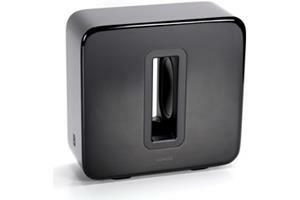 Or take a look at the Bluesound Vault 2i It rips your CDs in a hi-resolution format and stores the files on a built-in drive. This takes your computer (and all the associated hassles) completely out of the equation. With some systems, you may be able to play the files stored on your smartphone or tablet. If you want to do this in a receiver-based system, make sure the receiver can play your phone or tablet music in the second zone. Many receivers play only analog sources through the second zone outputs. When choosing a wireless system or a receiver, make sure it’s compatible with your favorite music streaming services. Continue your research by reading more Crutchfield articles about multi-room audio. Elvin, Thanks for the good question. It's hard to answer without knowing more about how the room is used and what your goals are. I recommend that you get in touch with one of our system designers to discuss your requirements in detail. 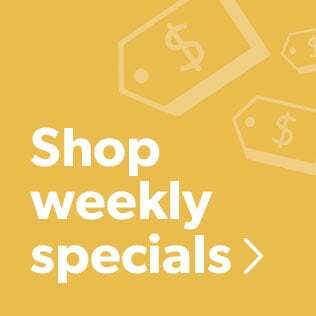 Call 1.800.555.9407 Monday-Friday 9am-5pm Eastern Time. I am planning a remodel of our older home. I would love to add built in speakers in our ceiling. The ceilings are angled and very tall on the high end. Would I be better with in wall speakers? Thanks, Austin. I have Yamaha MusicCast speakers. Our customers seem to love Sonos. But there are lots of great choices. Please contact one of our advisors for help choosing the products that best meet your needs. Hi folks. Thanks for all the great questions. I'm afraid this really isn't the best place to carry on a dialog about the details of your audio systems. I forward messages of this kind to our advisors. 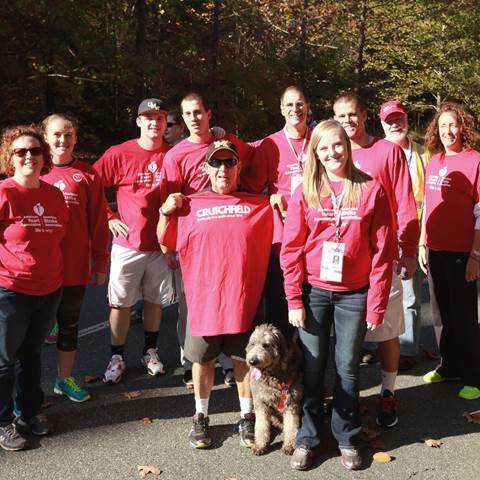 They are better equipped than I am to help you find the right solutions. I have an existing system that I want to update. I have in-ceiling speaker pairs in 6 locations/zones in my house. I now have purchased a NAS on which I am running Plex and storing my music. I would like to get an amplifier that will take music from the Plex NAS, play it in the different zones, and be controlled by an iPhone app. Am I dreaming or is this possible? I have two existing 5.1 surround systems; 1 in family room (Pioneer VSX-917V with Mirage floor, surround, center and sub), 1 in living room (Yamaha RX-A740, Defintive Technology ProCinema Series 600) an Amazon Echo in Kitchen. Each surround system has Apple TV. Is there any way to connect all of these wired systems together and control audio through Alexa App. I am in the process of building a house. As of now, we will have wiring for 4 pairs of speakers in various locations around the house. 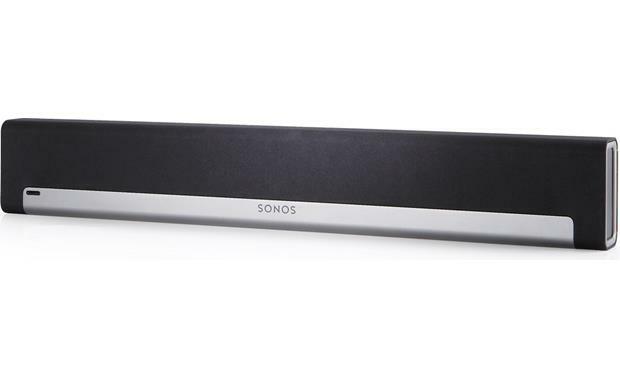 We were pitched the Sonos system to we can get the Playbar and zoned speaker system, however at $500 per Connect (will require at least 3 to separate the sound), this just seems way to pricey for what we are doing. 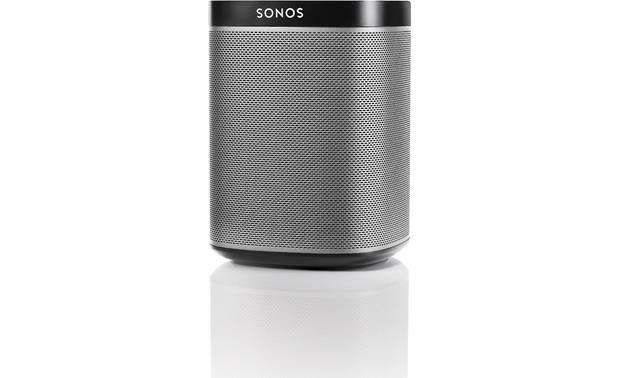 Is there anything similar to Sonos but cheaper that will function the same and allow for separating and grouping of rooms? I have a similar situation to several above. I purchased an older home that was remodeled and wired with built in ceiling speakers. In all there are 7 rooms with two speakers each and what I assume is a volume knob on the wall. In addition the living room has 5 built in speakers. From a little research it seems as if the living room is set up for a home theater system and the 7 other rooms for audio alone. On the wall in the living room there are 7 sets of gold inputs with black/red bands that I have been told are for the speakers. Next to that there are also three sets of "yellow-white-red" jacks and one set of "black pronged-white-red" jack. Elsewhere in the room is another in set of gold inputs (subwoofer?) and higher on the wall (TV?) are an additional set of the "yellow-white-red" jacks. Lastly, one of the rooms with the built in speakers has a separate set of 2 of the gold inputs. I am curious what I would need to first "test" the system and then figure out how to set up the Living room home theater system and 6 of the other rooms may be wired for audio to be operated from the Living Room. The 7th room seems to be operated from the same room. How close am I to understanding what I inherited? Harv and Jeff, I forwarded your messages to our A/V design team. Someone will be contacting you soon to discuss your options. Thanks for your inquiries. I recently purchased a new house with 8 zones - 16 total speakers. All wires home run to basement mechanical room. We do not have volume controls in the rooms. Having volume controls would have made things a lot easier. Too late now to wire them in. 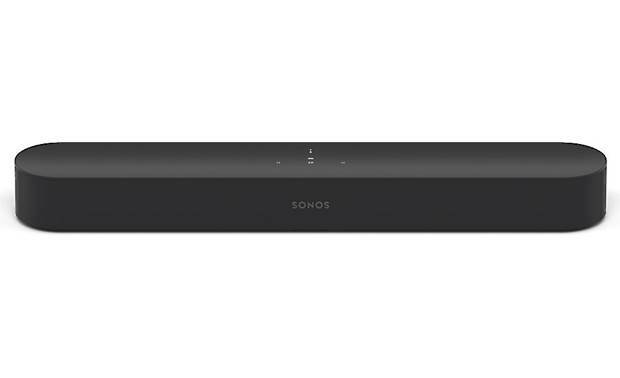 Thinking of SONOS, do not want to purchase 8 Connect-Amps. Really only need 2 streams of music at a time. Would also like a Playbar in the Family RM for the TV. 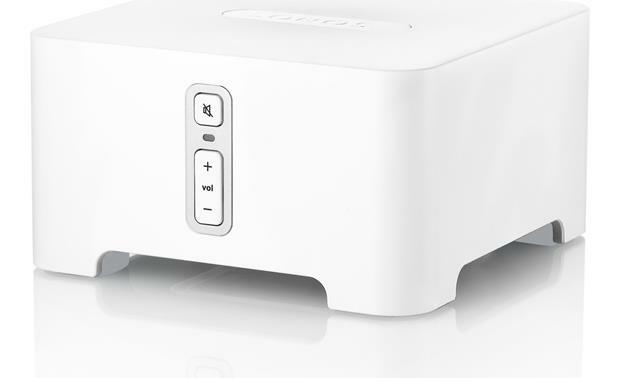 My questions are: If i go with SONOS, can I turn on/off and adjust volume in each location if I use a Connect with 16 CH amp? IF SO....Also can I connect to SONOS Connects to my amp for 2 available streams? IF NOT...Will I have to go the route of 8 Connect Amps? When using a PlayBar, can I also stream my TV connected to it thru my FAM RM or Kitchen Speakers since my home audio and my tv audio are on the same app/wifi? Thank you for your time. I recently built my house and wired the master bedroom, laundry, kitchen and second floor loft. I would like a multi zone setup that can be controlled on an app from my wife's phone or mine. So we can listen to music in one space or all together. These are all in the ceiling wired. I have a separate system I've wired for my family room to run a 5.1 surround system all with in wall wiring to be able to watch sports or movies with the family. I ran 16/2 wire in all the spots. I didn't have the time to figure this out while I did the building cause I was more focused on just getting the wires in and figuring it out after. Hey Chris, I've forwarded your question to one of our Home A/V designers. They'll take a look at your information and get back to you with some options. 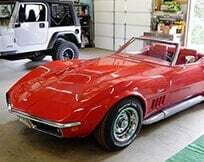 I am also looking for a recommendation. I have a brand new house with in-ceiling speakers in the family room, formal living room and on the screened porch. They are all wired back to the mechanical room. What I would like to do is to be able to control each space individually or together by an app. I would also like to be able to add speakers out by the pool and control those in the same manner. I would like the system to be compatible with Alexa. Ideas? Jeff, Question for you. I have a 200 watt receiver right now I bought from best buy for 100 bucks. I don't think its enough though for what I want to do. I want to have a single receiver that plays surround sound from my TV as well as Bluetooth audio from my cell phone. Then I want to connect that same receiver to 2 different sets of outdoor speakers with separate volume controls. A second room of in ceiling speakers with its own volume control and then also pump music out of the surround sound speakers. Basically I want 4 zones with separate volume control and separate input so that someone could watch TV and play music at the same time. Is there anyway to do this? Can you point me in the right direction on who would be good to ask? Artie, Thank You for providing such powerfully helpful info!! Kenny - I had the same situation as you - big bundle of wires, not connected. I bought a Fluke Pro3000 Tone Generator and Probe Kit ($80). 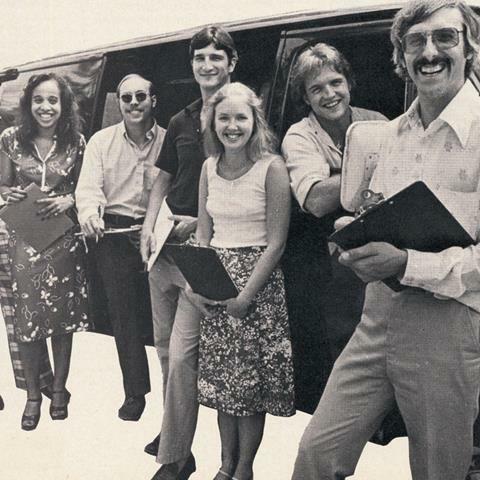 There are others - Greenlee, Klein, etc. If you've ever watched a landline telephone repair guy trying to find the right set of wires, this is the equipment they use. There's a box with 2 alligator clamps, which you attach to a speaker wire. Push a button once, you get a steady tone. If the wire leads to a speaker, the speaker will emit that tone. Push the button again, you will get a series of different musical tones, like a car alarm. This is how I found and labeled the majority of the wires. The second piece of the kit is the listening device. If there's no speaker at the end of a wire, then the listener has a very sensitive microphone, that will pick up the tone from the cable itself. If you know where cables terminate, you can just place the listener next to each cable, until you hear the tone. If you connect red clip to red wire, and black clip to black wire, the listener can pick up a signal within 3-6 inches away from the wire. You can also attach the black clip to ground, or to a helper, and that increases the sensitivity tremendously - also resulting in some false positives. Take a look at YouTube for some informative videos on how to use this equipment. Satish, we sent your inquiry to our sales team for the best solution. They'll be contacting you via email soon. For immediate help, you can contact them via phone or chat. Would like to have wireless speakers for the whole house and also have music played via computer or smart phone or tablets. 4 bedrooms, basement, hart room and living room. Also should have a way to control each room music selection. Kenny, I've sent your comment to our Advisors. They'll be in touch with you soon to get some specifics and help you out. I just bought a newer home with speakers and volume controls in every room. Everything is wired back to a technology room. Problem is that all the electronics were remove from tech room. 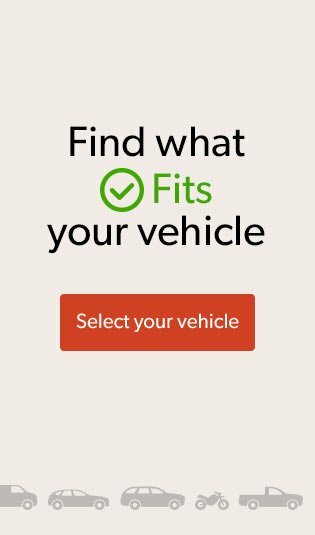 How do I determine what I need to get everything back up and working. Dave that's a great idea for a vacation home. I've forwarded your comment to our A/V design experts. They should be contacting you soon with some recommendations. Looking for a multi-room music system for a vacation rental home. Different people/users in and out all the time. Needs to be easy to use, reliable and ideally work with an iPod or smartphone as a source. 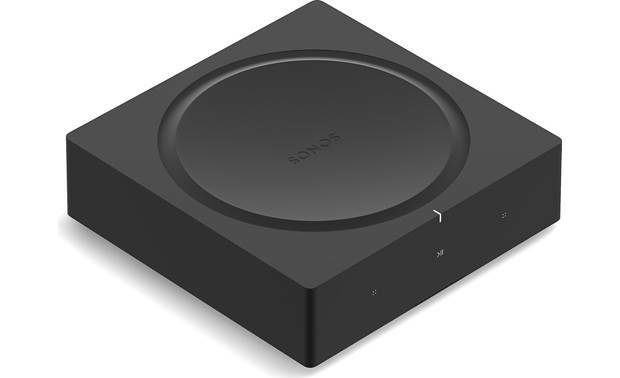 Had been thinking Sonos but looking for input/proposal. Property layout - would like speaker(s) in each to be controlled separately or together as desired by user: - living room - kitchen - 4 bedrooms - pool/yard area Thanks! Call it wireless if you want, but there is always a cord! Batteries Do Not Charge Themselves. So wireless is not honestly wireless! This really needs to be addressed when considering Bluetooth or wifi speakets.